My mother and I went on the tour tonight. Hank was absolutely amazing! I highly recommend this tour to anyone interested in history or the paranormal! Will be going again with friends and relatives from out of state. We met our guide, Meaghan, outside of the Old Cambridge Burial Ground. As we were early, we had the opportunity to chat with Meaghan before some other guests arrived. Her enthusiasm for history and sharing that with others was immediately apparent. During the tour, her abilities as a captivating storyteller were also revealed. Meaghan was approachable and encouraged questions. She answered any questions as thoroughly as possible and suggested where one might find further information. The storytelling was engaging and thorough. She did an exceptional job of keeping the group together, providing directions to the next destination. Many tour guides do not tell the group where they are headed next and after having a guide that did, I found it a helpful courtesy. The mix of old and new stories was refreshing. I will look forward to participating in other tours offered. Our tour guide Meaghan was fantastic! Just took a Haunted tour with Hank. I really enjoyed the experience and Hank was a phenomenal tour guide (ask for him if you can!) Just the right blend of humor and terror made for an enjoyably spooky evening! After living in the area for 3 years I never realized how much history there was that I didn't know. Rebecca B. says: Thank u SO much! Justin and I had a great time. Ashley did a great job! We both grew up here and learned so many new things about Cambridge that we had no idea even existed. 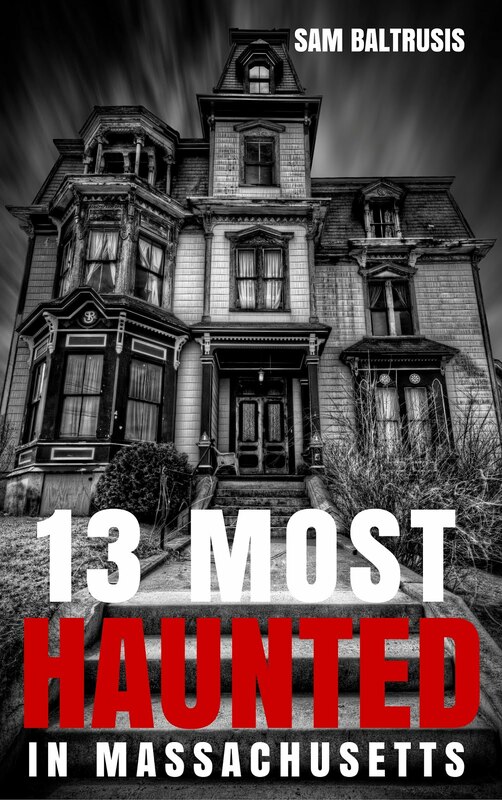 Such a great history lesson as well as paranormal. I recently took this tour on a Wednesday night, my tour-guide was Rob. It was totally out of the box for me but a few friends of mine had heard of the new tour and decided to take part and in the end, were so happy we did. It was a beautiful night and we followed Rob around for an hour and a half as he brought us to some of Harvard Square's notorious historical haunts. The tour was both history and mystery and Rob did a great job explaining each of the famous and infamous stops. 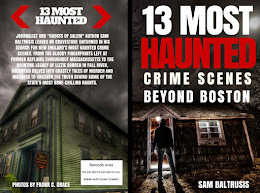 It was as if he was personally familiar with each of the entities said to haunt those stops he took us to and detailed their stories beneath the sinister red glow of his hand held lantern. Good atmospherics! Has Holbrook Smith's ghost returned to Harvard? My group attended this tour on a whim. It was so fun AND informative! Our guide, Ashley (who happens to be so adorable that if he comes back as a ghost, I hope he's an insatiable poltergeist in my room) obviously knows his stuff, and gets the group excited. 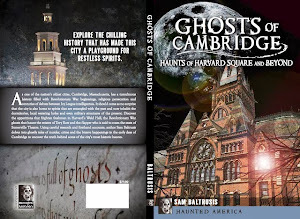 It was great to gather history of Cambridge, and spooky stories that will haunt you after the tour is done. We managed to snag a few photos with orbs and it made even the most skeptical in our crew really think about what they should believe. Two thumbs up for this tour! 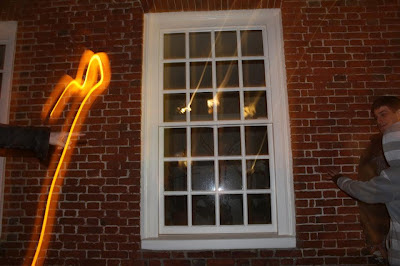 I had so much fun last night on our Cambridge Haunts tour! Ashley was a great tour guide and very informative. I hope to learn more about the paranormal so close to home! Went on Friday night and had the best time! It was spooky, but incredibly informative! I learned so much. And I did sense that spirits were lurking about! I'll do it again next year!! !